Nilagang mais is a Filipino term which means boiled fresh corn. Fresh corn is cooked by immersing it in water and boiling it under it is tender or done. A bit of salt can be added to the water depending on taste. In the Philippines, Nilagang Mais are served as snack and can be found almost everywhere in cities and provinces. 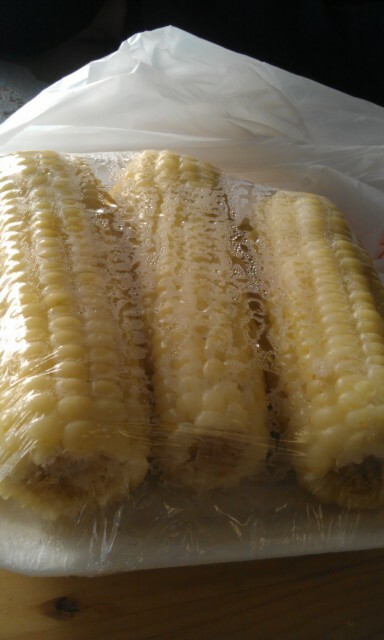 It is sometimes eaten with butter spread around the boiled corn. Nilagang Mais is one of the favorite snacks of my German friends who came to visit me in the Philippines. They just love that it can be easily be bought around thru street peddlers and roaming wooden carts and in almost all areas in the Philippines, even on bus stops along the highways.